Every ticket finds its match. Get down to the finer details of ticket management by setting up assignment rules. This way, you don't have to manually assign tickets to agents every time they come in. It gives you more control, and your team more autonomy. Round Robin is the simplest form of automatic ticket assignment. It distributes tickets evenly to all your agents based on the limit that you set. With minimal intervention, Round Robin ensures that no ticket goes unassigned. Decide who handles what, automatically. 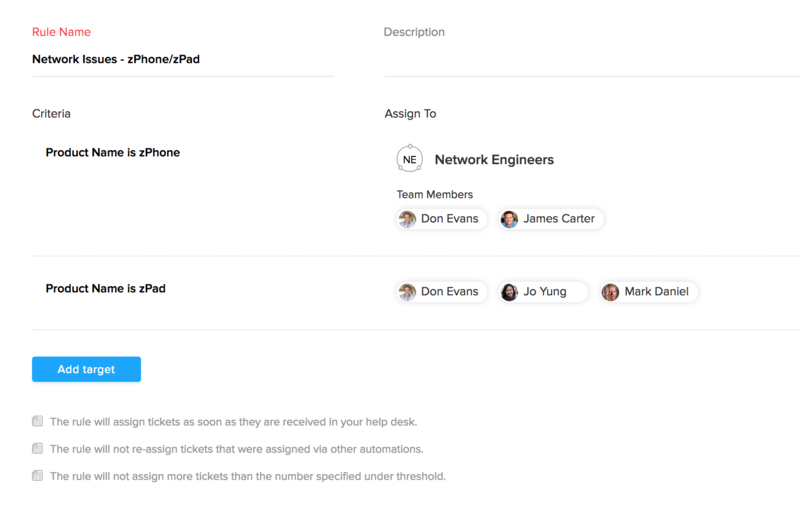 You can also ensure that specific kinds of tickets are handled by specific agents on your team. For instance, you can set up a rule to assign tickets from channels like social media only to the social media experts, so that customers get the best solutions in the shortest possible time. Get it right in one shot. When tickets find the right agents or teams the first time around, there is less need for customers to repeat information over and over again. 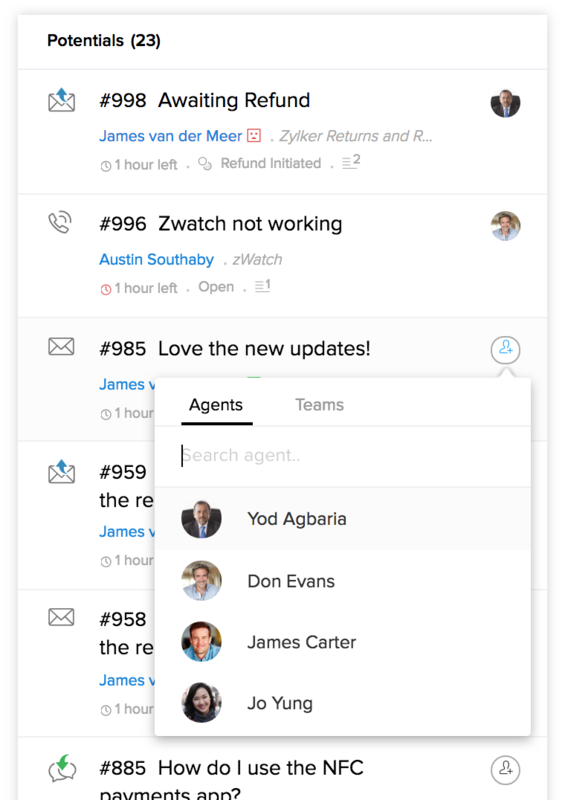 You avoid endless redirections and your customers get faster, more accurate support from your team. When there is a clear owner for every ticket, it's easier to track their progress. This could mean measuring customer happiness, tracking time spent on the ticket, and collaborating with internal stakeholders and employees.